One of the things I love about this salad is the contrast in flavor, texture, and temperature. The spinach pairs nicely with the sweet pear, tart craisins, and the smokey bacon. The pecans add a great crunch and the goat cheese is perfectly tangy and creamy. However, the star of this salad is the warm roasted sweet potatoes piled on top. It’s absolutely delicious finished with a quick balsamic honey vinaigrette. I could eat this salad every day! Preheat oven to 400°. Peel and cut sweet potato into small cubes (about 1 inch pieces). In a small bowl, whisk together olive oil, chili powder, cinnamon, salt and pepper. Add cubed sweet potato and toss to coat. Place on a foil or parchment lined cookie sheet and roast in the oven for approximately 30 minutes, turning the sweet potatoes halfway through cooking. While the potatoes are roasting, prepare the vinaigrette. 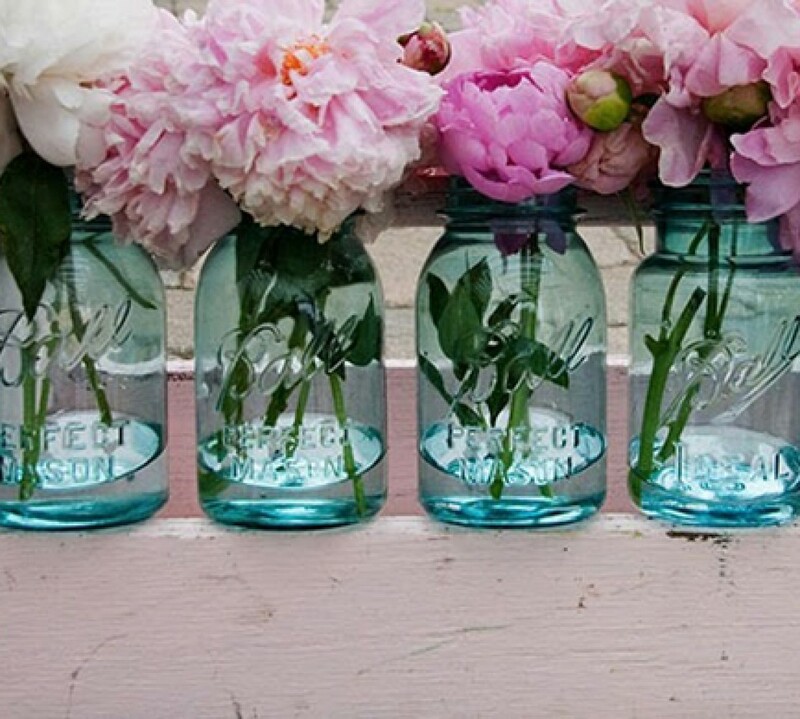 Combine olive oil, vinegar, honey, salt and pepper in a small mason jar. Screw the lid on tightly and shake vigorously to combine the ingredients. Set aside. Empty the bag of spinach into the bottom of a large bowl. 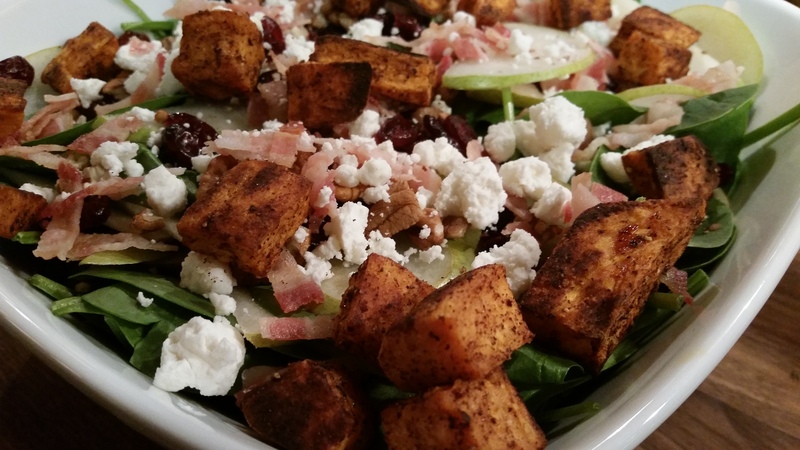 Layer the sliced pear, chopped pecans, craisins, chopped bacon and crumbled goat cheese on top of spinach. Once the sweet potatoes are ready, remove from oven and immediately scatter on top of the salad. Shake the vinaigrette to ensure the ingredients are combined. Pour a few tablespoons over the salad and toss to coat. Add additional vinaigrette, a little at a time, if needed. Notes: You can substitute regular balsamic (or any vinegar you like) in place of the white balsamic. I love using a small jar for the vinaigrette because it makes storing any leftovers a cinch, but if you don’t have a jar handy you can whisk the vinaigrette together in a small bowl. Juz loved the Balsamic Honey Vinaigrette. It can be tried over any salad. Dressing doubles the taste of salads.